Garnet color. Fruity aromas of stewed fruit, fruit punch, chocolate silk pie, and smoked meats with a velvety, crisp, fruity medium body and a polished, interesting, medium-length spiced sweet pecans, chocolate root beer float, chocolate covered raisin, and honey-glazed carrots finish with chewy tannins and moderate oak flavor. A rich and dark fruit-forward wine for sultry nights. 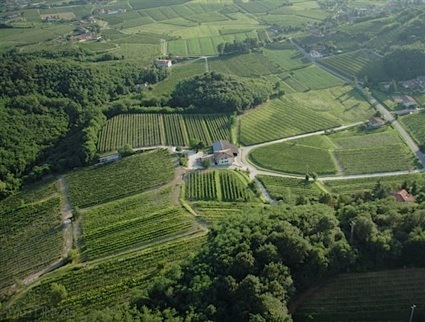 Bottom Line: A rich and dark fruit-forward wine for sultry nights. 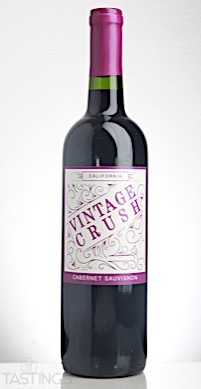 Vintage Crush NV Cabernet Sauvignon, California rating was calculated by tastings.com to be 88 points out of 100 on 9/12/2017. Please note that MSRP may have changed since the date of our review.